Imperial Stout was originally an English style of strong stout that was exported to the Baltic States and to Russian. To withstand the long journey it was brewed to be very strong and hoppy. 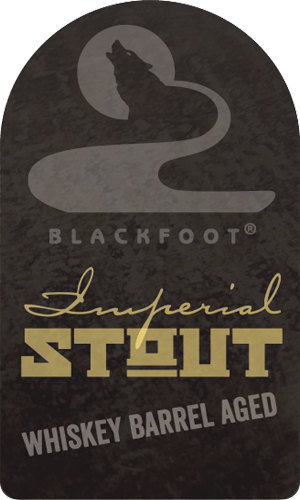 The Blackfoot Imperial Stout was aged in whiskey barrels for 8 months and has a strong flavor and aroma of roasted malts, chocolate, coffee, and whiskey.